Ever since she learned of her large inheritance, Laurel Epstein had lived a charmed life. 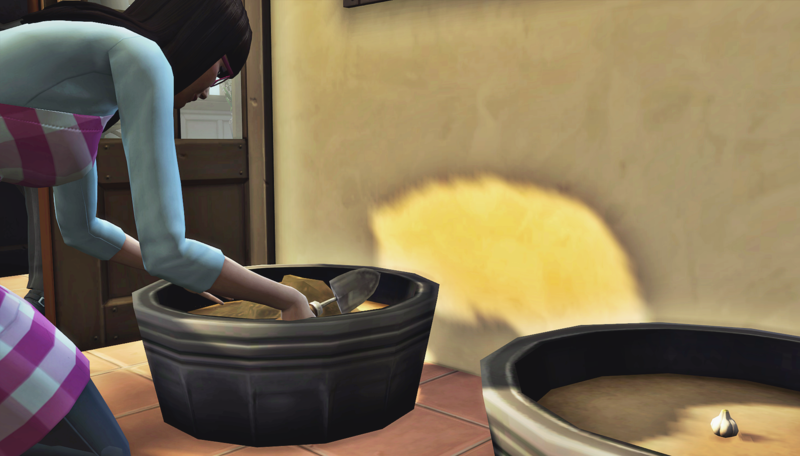 The move to Oasis Springs had been great for her family. They grew from four people crammed in a tiny Bridgeport apartment to seven people in a house large enough for everyone to have their own room. They had a butler! They had a home gym! They had a formal dining room! Oh, if only her friends from back home could see her now. There had been only one major threat to her happiness since the move. 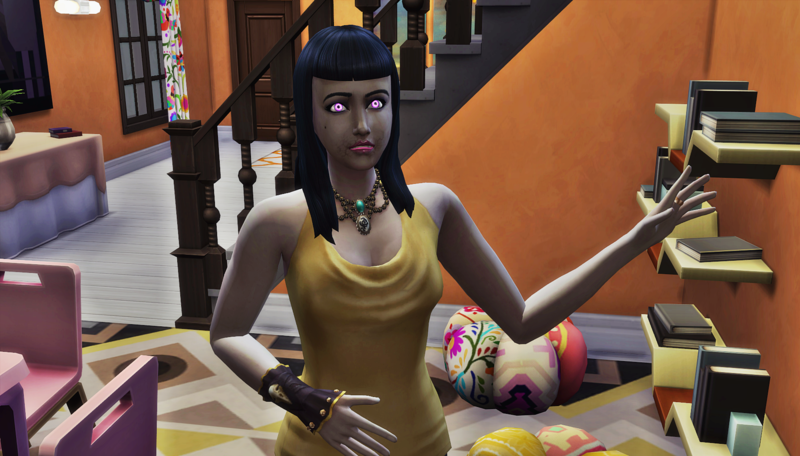 She was attacked, in her own home, by a vampire. But her club, the Counsel Council, handled that. 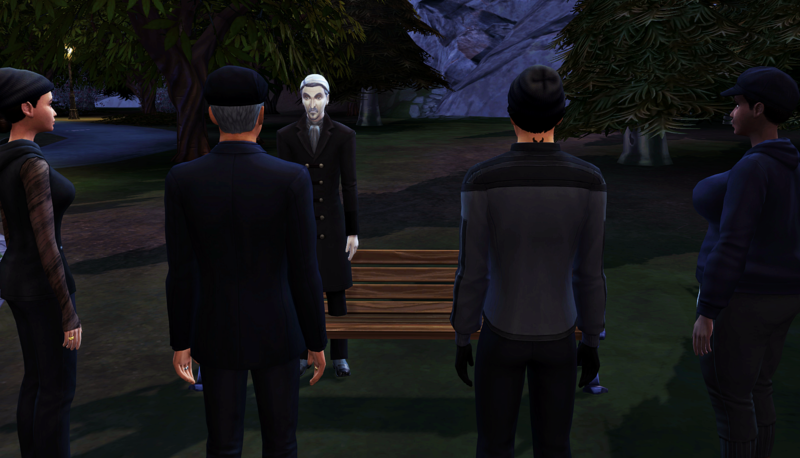 They went to Forgotten Hollow and sought out a solution to their problem. Carmen grew the garlic, and Laurel weaved the wreaths. Those wreaths kept everyone in her club and everyone in her family safe. She was now a grandmother to 4 amazing kids. Who would’ve thought she’d one day be so happy she had her first child as a teen? She and Kurt were still so young, they would likely live long enough to see at least one of their grandchildren get married. Yes indeed, life was good. She dreamed wonderful dreams that simply showed her life, exactly as it was. Being as happy as she was, with the wedding of her first born right around the corner, well, that only meant one thing. Something had to go wrong. Lilith Vatore knew she was taking a chance coming back to this house. The garlic wreath hanging next to the front door was a pretty powerful deterrent. But she couldn’t help the feeling of longing. She longed for the taste of Laurel Epstein’s plasma. 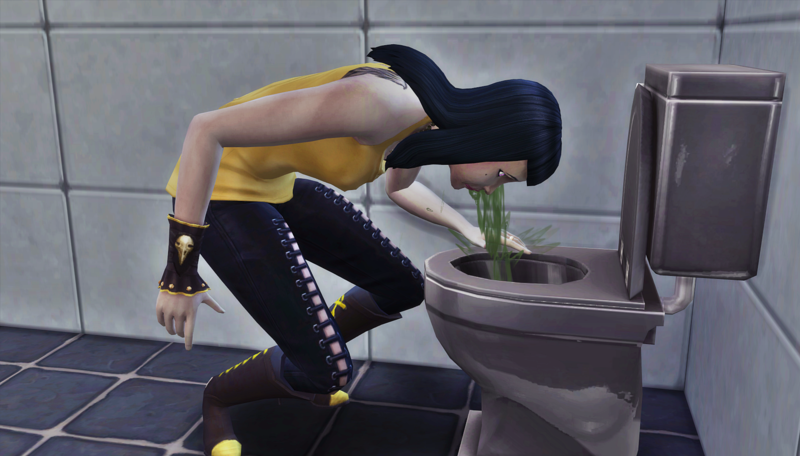 The same way mortal Sims had their favorite meal, vampire Sims had their favorite neck. And Laurel was Lilith’s favorite. It was worth the side effects of garlic exposure. 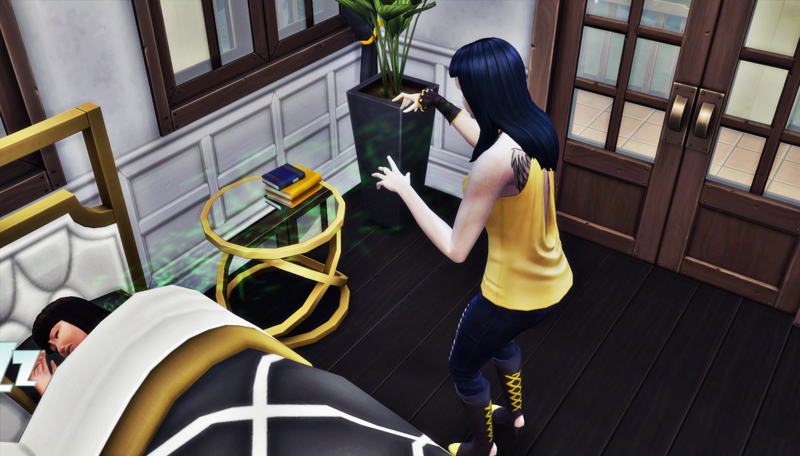 She wondered around the second floor of the home until her nausea ran its course. Now that the garlic-induced nausea had passed, she was able to resume her plans. She crept up to the top floor of the large home. With each step, the familiar smell grew stronger. It was mouth-watering the way a perfect roast chicken used to entice her before she was turned. That was so long ago, but the feeling was the same. She turned into the master bedroom and could barely contain herself as she watched Laurel sleep peacefully for a few moments. The entire house was silent, an eerie quiet that let Lilith know they wouldn’t be interrupted. When it was over, Lilith left as quietly as she arrived. She was sated for now, though she couldn’t say for how long the satisfaction would last. Laurel hit the floor, passed out, body forced to recuperate from the near-draining. She had fitful dreams laying face down on her bedroom floor. She couldn’t believe this had happened again. She felt violated, scared, and unsure of how to proceed. When Laurel finally picked herself up off the floor, the first thing she did was order garlic seeds. She didn’t know anything about gardening, but she thought it wouldn’t hurt to grow more garlic just in case. Perhaps the wreath by the front door was insufficient for such a large house. She felt the need to get outside. The fresh air, and the near complete lack of clouds in the sky made her feel safe. She knew no vampire would attack her in broad daylight. She still had a ton of pent up energy after her jog, so she headed to the basement to her gym. 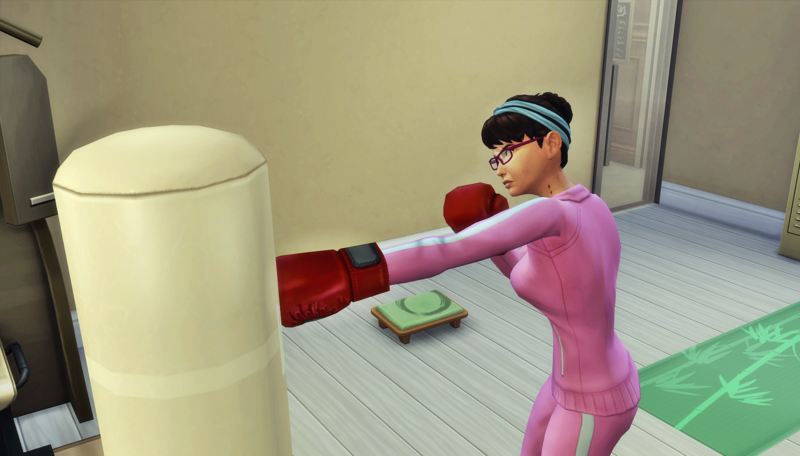 She let loose on the punching bag, hoping that would settle her feelings of anxiety and frustration. Laurel still felt unsettled, so she did what made the most sense. She tried to call a Council meeting. Unfortunately, everyone wasn’t available. Gavin and Bo both bowed out saying they had to stay home with their toddlers. Luca and Carmen were both available to come over. Luca offered to bring his father, who always had “interesting” solutions to problems, and Laurel agreed because she was ready to try anything. After quick introductions, Laurel launched into her tale. She knew most of the club didn’t share what they talked about with family members, but nothing she said about vampires seemed to surprise Luca’s father. And Carmen was always trying to see things from both sides, so Luca was the only one who seemed to have an appropriate reaction to her story. Once she finished talking, Luca launched into his usual tirade against vampires, speaking of how they should all go away. Carmen brought up the fact that Hugo’s wife was a vampire, and asked Luca if he lumped her in with all the vampires he wanted gone. When Luca tried to point out that Carmen’s life would get much easier if Hugo wasn’t married to a vampire, Carmen dropped a bombshell on the group. Hugo’s wife apparently had her fill of Hugo constantly cheating on her. Hugo led Carmen to believed his wife didn’t care, but apparently she did. Carmen wasn’t sure what to do with the information, but she knew she felt less safe. If Imane was upset enough to leave, who knew what else she might do? Even if they divorced, Carmen’s life wouldn’t suddenly get easier. Laurel agreed to hear them out, and by the time they finished explaining everything, she’d agreed to meet them in the park in Forgotten Hollow that night. The group stood up to go. Before she left, Carmen wrapped Laurel in a warm hug, and tried to reassure her they would be okay. After promising to follow the vague instructions to dress “incognito,” she bid the group goodbye. Laurel showed up to the park as promised, right after sundown. The vampire they were there to meet was named Vlad. Jim had called ahead to let him know the parameters of their meeting had changed. The five of them stood staring at each other for a moment. Laurel wondered what she had just gotten herself into. 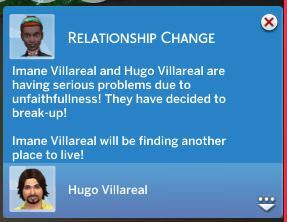 I’m honestly not sure if Hugo and Imane are divorced, I think they’re just separated. I’m not sure how MCCC does it. HA! They split up. I love that new option in MCCC. It gives me so many gossipy things to add to stories lol. I’m cautiously optimistic that Hugo and Carmen may finally get to be together for real. Can’t wait to see what Jim has up his sleeve. Oh boy ! This is exciting ! I’m relieved that Hugo and Imani split up ! Sure , Carmen and Hugo will need to protect their family , but I feel optimistic for a happy resolution ! I’m glad you feel optimistic, lol. I’m looking at my MCCC settings like really? I can’t have a plan for this story at any point, haha. I love it! You’re the reporter. That’s it!